Who doesn’t love a good Halloween horror launch? While we may have been busy with our annual charity spooktacular, we still had the chance to hop into some fun new games as November rolled around. If you’re in the United States, that’s fantastic news, as it gives you a few solid excuses to stay inside and avoid the sudden cold. 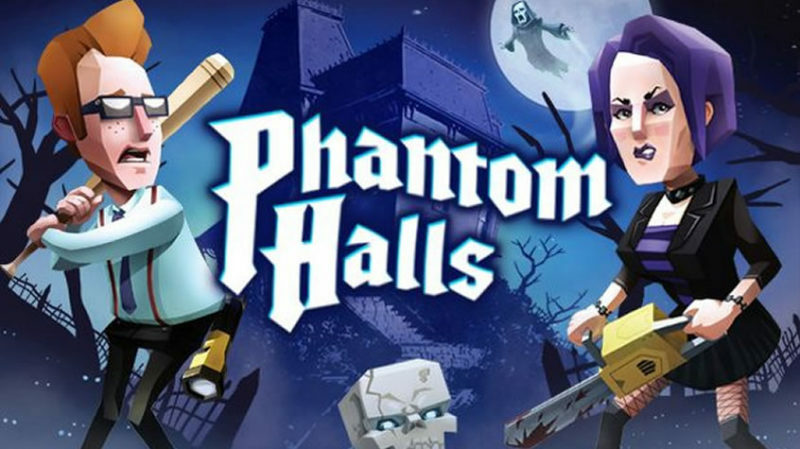 In this choose-your-own-adventure review saga, I picked Phantom Halls. It’s a papercraft roguelike with procedurally generated maps and a lot of heart. I suppose this is an excellent time to tell everyone that I do not enjoy roguelikes. I did pick this game, though, because the marketing made it look like the perfect game to break my prejudice. On that count, I was right. 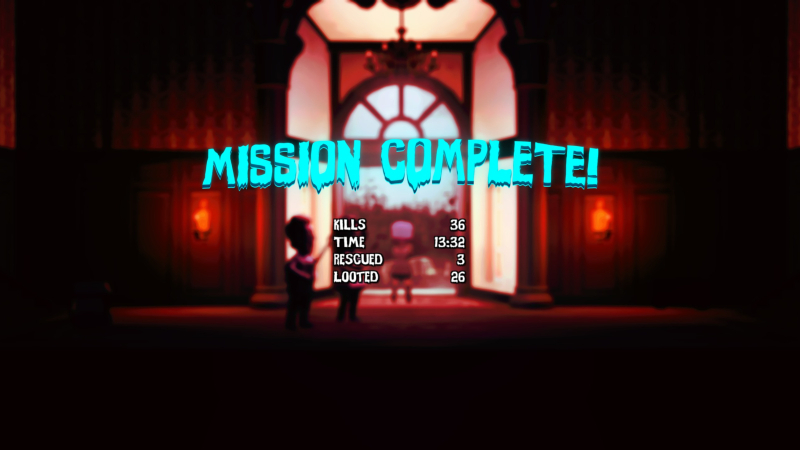 Phantom Halls is hard. While there is a local multiplayer option, and online multiplayer in the works, most people are going to take this one on single-handed. Those people will be playing a small squadron of characters as they explore, and will probably wish they had a few extra hands once they jump in. Teams of characters have a leader with all other members on backup, and each can be rotated using one button. Each member has both an attack and a special ability button, and there is a button for opening the entire inventory, as well as another for rotating the leader’s equipped item. Word to the wise: Forget that the inventory cycling button exists and open the inventory itself to change items. When opening the full list, even secondary character items are easily replaced, ammunition amounts are visible, and health packs can be equipped for use. Opening the inventory also has the benefit of pausing the action, allowing players to think through their next few steps instead of wildly pressing the item exchange buttons and praying the next one is something more useful than a flashlight or flare gun. There is plenty to be said for intuitive controls, so I’d like to note that Phantom Halls doesn’t have any. Learning the controls in this game comes through failure, but the good news is that there is so much opportunity for learning through failure that everyone is sure to get the hang of it. Developer Incendium did players a huge favor with launch-day control tweaks that made it infinitely more enjoyable, but there is still a sharp learning curve required to make it through your first few cases. Most cases will allow players to choose a two to three character team before heading out. The beginning team is your core four: a jock with special blocking abilities and heavy melee bonus, a cheerleader whose cheers heal wounds, a goth who makes the team temporarily invisible and increases aim accuracy in dark rooms, and a nerd who can rage out to make melee attacks much stronger. If you’re wondering about Ash, of Evil Dead fame, he joins the team once you manage to survive the first case after training. His special ability involves taking out a wall of enemies with his chainsaw, so make sure you don’t skip over that case. Several other fun new characters are available as players complete cases, each with their own special abilities and bonuses. Characters also have ability trees, allowing players to specialize their teams to fit their play style. You can earn points to spend on different characters by taking on their lead cases. The file cover for each case lists its potential rewards and case leader; particularly adventurous players can use this to give specific characters priority. This option to accept a case or skip it for another is a crucial component of the game. When one case becomes too frustrating, moving to another can bring instant relief. Tired of exploring the jock’s all-nighter mansion catastrophe? Head over to the graveyard and take it out on some pumpkins. The enemies from case to case are somewhat varied, and the skills needed to beat them are different enough to make moving along a welcome change. None of this means that Phantom Halls will be a home run for every player. My biggest gripe about the game is the highly repetitive sound design. There are only so many times you can hear the Goth go ‘HURGH? !’ for every single action, or hear a loud pistol shot in your ear because you clicked on any button in the game before you mute it. While this makes enemies easily identifiable from a distance, it makes the characters unbearable. Each has their one sound, repeated each time they interact with the world. Dialogue is handled via text bubbles, which is a fantastic accessibility and financial choice, but I do wish they’d at least varied the sound bytes for playable characters. If you’re a story and lore buff, this may not be your game. While there is a loose premise to tie the whole concept together, it is not a story-heavy game. The basic idea is that four kids from the same school wind up fighting evil spirits together and hilarity ensues. 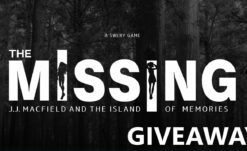 Each case has its own short premise, as well, but the story here feels as substantial as that of Slayaway Camp. 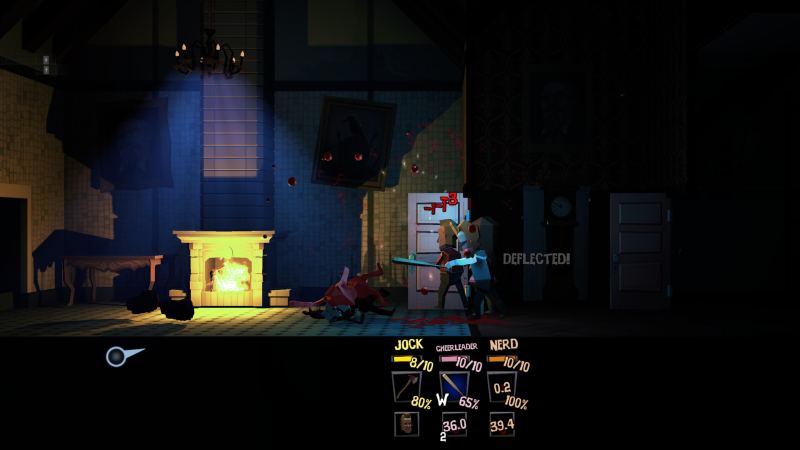 Phantom Halls isn’t a storybook; it is a love letter to every horror movie ever made. There are evil clowns, floating dolls, flooded basements full of bugs, pumpkin kings and spirited ghouls, and furniture that jumps on anyone walking past. There is a touch of everything that anyone has ever loved in campy horror. In the end, that’s what makes Phantom Halls fun for horror buffs. Yes, it is a procedural dungeon crawl. Yes, you will die a million times. Yes, it will frustrate the hell out of you. That can still be fun, though, when a honking clown makes you explode, or you lose your last point when a taxidermied deer head gores you from the side. Frustrating doesn’t equate to ‘not good’ unless the developers let it, as proven by the immense popularity of games like Bloodborne. You’ll die a million times, and then you’ll get better. You learn to conserve ammunition and drop ‘crooked sighted rifle’ as soon as you pick it up because the name doesn’t lie. You learn to approach chandeliers slowly so they can fall without doing much damage to your team. You learn who to take along for action-heavy cases, and who to bring for run-and-guns. You develop a freakishly fast response that makes other games more fun. 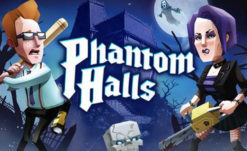 Phantom Halls is incredibly frustrating, and there will be times you have to walk away. You’ll always come back, though, because this is an excellent game. Phantom Halls is available on Steam for PC. Steam PC code was provided by the developer for the purpose of this review.